SOUTHWEST PHILADELPHIA (WPVI) -- The FBI is searching for a man wanted for two bank robberies in our area. 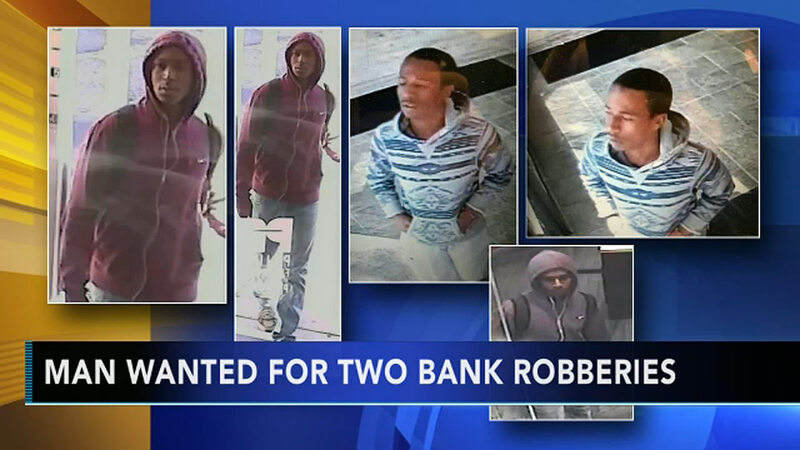 He first robbed the Philadelphia Credit Union branch in Southwest Philadelphia on Wednesday. Investigators say he first asked about opening an account but when the teller asked him for identification he left. Half an hour later, he came back and handed a worker a threatening note. He then got away with a bag filled with cash. Authorities also suspect him of robbing a Santander bank in Yeadon.